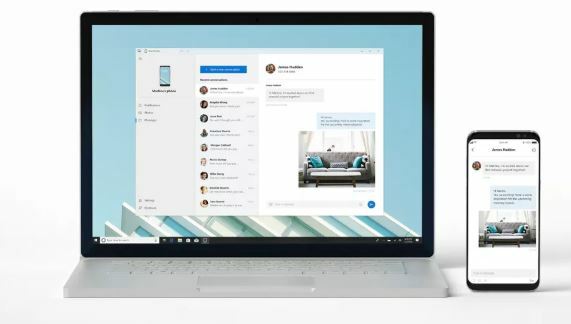 Yesterday, Microsoft unveiled a new app called “Your Phone” that will create a direct connection between your Windows PC and your smartphone. The app will open up a connection from your smartphone to your Windows PC so you can grab photos, read and reply to text messages, see notifications, and more. Features will vary depending on iOS and Android, but Microsoft can mirror far more Android phone features to a Windows 10 PC so you never have to physically pick up your device while you’re working on a PC. There isn’t a release date yet but Microsoft is eager to release this and will be testing it with their Windows Insider Program soon. They’ll need to do a lot of testing so they don’t fail like Dell did last year when they tried to create a similar app and be first to market. This isn’t a new concept, but I hope that Microsoft can get it right so that it becomes a useful tool.